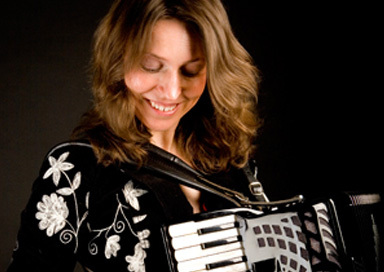 This award winning accordionist and twice All-Ireland champion is available for all kinds of events and her varied repertoire includes Irish, French, Italian, Scottish, Eastern European, Russian and South American music. 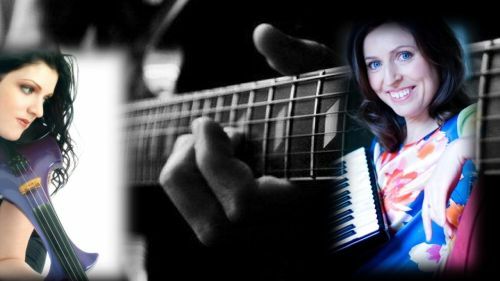 She is available as a solo performer and can also be booked as a Duo/Trio/Quartet or Quintet with combinations of Guitar, Violin, Banjo, Percussion, Harp & Bass. In addition to public performances, she has entertained at countless corporate and private events over the last decade. She weaves a rich tapestry of melodies from France, Galicia, Italy, Canada, Cape Breton, Eastern Europe, Argentina and Louisiana with style and cosmopolitan taste. With her infectious energy and exuberance, she is guaranteed to bring any celebration, wedding, party, corporate event, ceilidh, to life! Amongst her many clients are President Mary McAleese, Sting, Antonio Carluccio, Guy Ritchie and Thandie Newton. 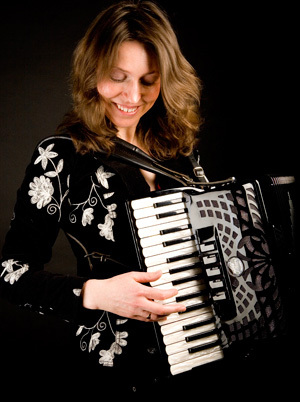 She is currently based in London and able to perform at events worldwide. Festival & TV appearances including Glastonbury & USA's The Late Late Show, as well as sharing festival billings with Jools Holland, The Chieftains, Maire Ni Bhraonain (Clannad), The Proclaimers, Luka Bloom, Brian Kennedy, Paul Brady, Mary Coughlan and many more. Featuring on numerous TV programmes, BBC Alba’s “Horo Geallaidh”, UTV’s “Kelly Show”, RTE’s “The Late Late Show”, “Mary Kennedy Show” and “The High Reel”, TG4's “Ionad Cois Locha” and “Sult”, the latter a collaborative project with Donal Lunny (Bothy Band, Moving Hearts). Her albums being aired on RTE Radio, BBC Radio 2, BBC Radio 3, Lyric FM, as well as countless regional BBC and radio stations throughout the USA. 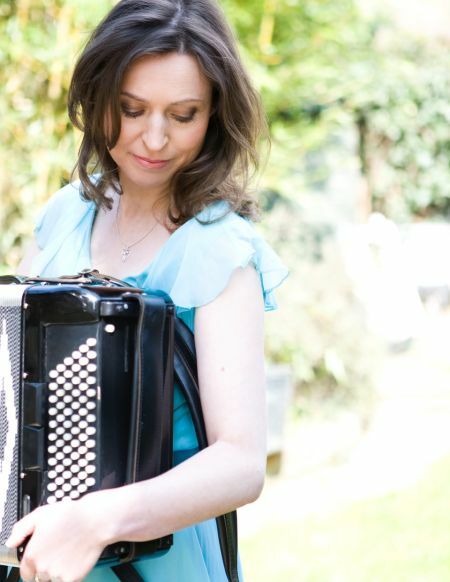 She is also in demand as a studio musician having recorded on albums with Wolfstone, Maire Breatnach, Mark Nevin (Fairground Attraction) and Russian legend Boris Grebenshikov.